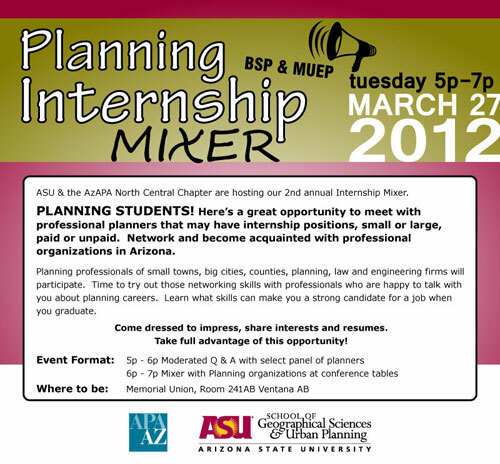 The City of Maricopa has experienced more growing pangs than most young cities. Incorporated in 2003, the City underwent growth measured at 4000% in the housing boom prior to the housing crash. Then it was the poster child of abandoned subdivisions during the Great Recession. Now, with great public interest, it looks to rebound. The vision embraces a Smart City model that can attract employment opportunities for our hi-tech age. City leadership also clearly makes a strong stance against growth looking like more of the same. Currently a bedroom community with a majority of 5,000 - 7,000 square foot lots for single-family homes. The General Plan Update is the first big step toward embracing this new vision. I have continually reviewed all content and drafted the Open Space & Recreation Element personally. As a capstone project to complete my Master's of Urban and Environmental Planning, I worked with a team of graduate students including majors of architecture, landscape architecture, and urban planning. Our assignment was to assess the existing site context and design essential transformation elements of Downtown Mesa centered around a public plaza. 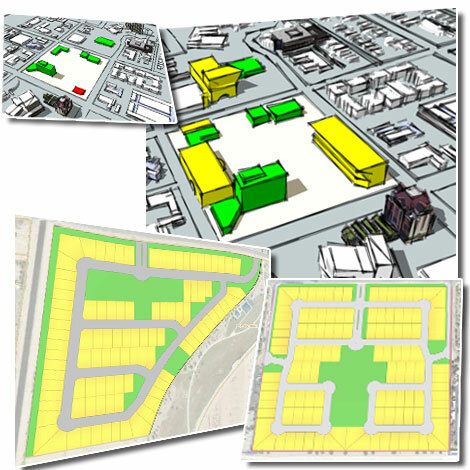 The project involved demographic research, parking analysis, review of industry clustering research, review of mixed-income housing research, design iterations, creative interventions, transportation analysis, and alternative parking schemes. I composed and produced a narrative. I have experience with urban design and neighborhood design. 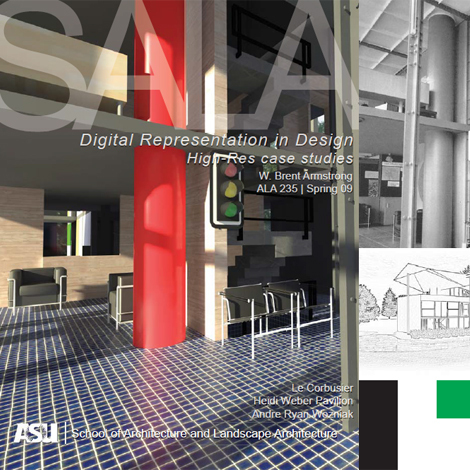 A project at ASU has me working with fellow graduate students who are studying architecture, landscape architecture, and urban design to develop concepts for the creation of a plaza in downtown Mesa. I use SketchUp to present ideas and design concepts that target contextual goals based off of site analysis. 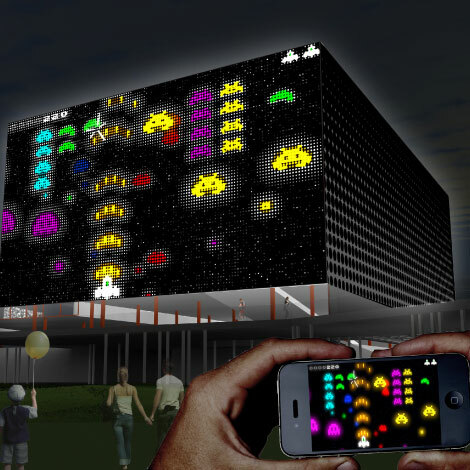 My consulting work has me developing conceptual layouts for new housing proposals. I work in CAD and color in Photoshop and assemble a finished product in InDesign. These will have site data that include lot count, typical lot dimensions, as well as approximate density and open space calculations. These concepts are mindful of zoning regulations, city codes and engineering requirements. 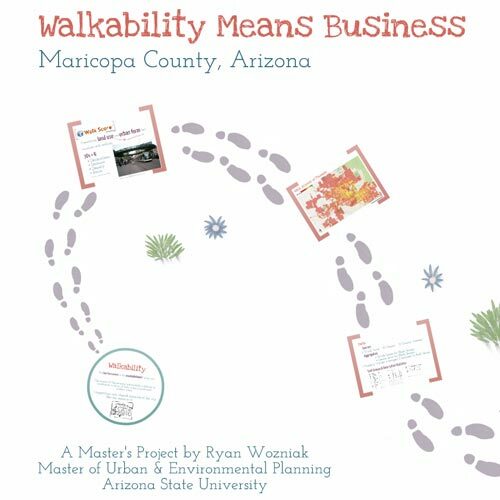 A geostatistical study on the association between Walk Scores (walkscore.com) and Commercial Property Values was independently conducted for the Phoenix Metro Area. Walk Scores trended well with the value of commercial properties with Walk Scores of 70 or more. The relationship was one of strong positive correlation. Causation was not determined. Spatial analysis shows potential of the high Walk Scores extending beyond the high valued commercial property areas. More details can be found in the links below. 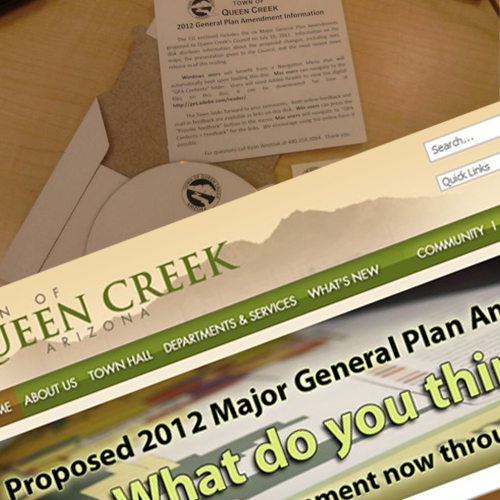 Interning with Queen Creek, I was put in charge of updating some proposals to the General Plan. Of the six cases, four required mapping. All maps, text, news releases, applicant submittals, web links, feedback forms, and video went on a CD that was created for public agencies (and the general public is offered the CD as well at the Open House events). I also created an Auto Run menu that Windows users could use to navigate the CD contents. 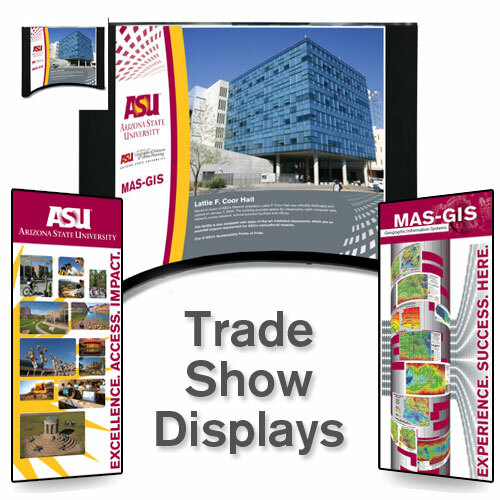 I have been a part of the whole process, including printing large maps for the open house, feedback forms, web banner design, answering questions, etc. Total class effort. I headed the team tasked with assessing conditions for a "Healthy Economy." 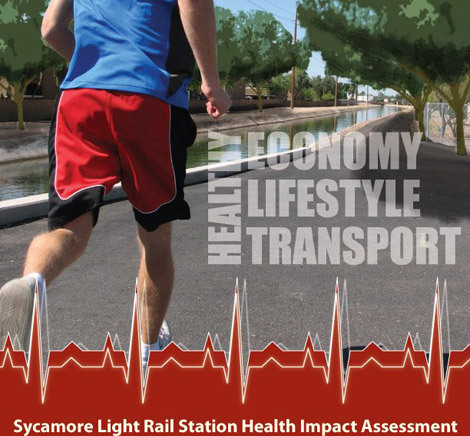 Conditions focused on demographics to identify potential market demands, vacancies of commercial property, opportunities for retrofitting urban design to encourage active transport and local economic sustainability. Promoting accessibility is key. Cover design: Picture facing Southwest down Tempe Canal near Main Street. Shade trees added using Photoshop effects and masking. Other effects created in Illustrator. Collaborating efforts with Barb Trapido-Lurie (ASU), Dean Brennan (FAICP, ASU), Jon Froke (City of Glendale, Director), and Ruth Hennings (City of Prescott, Community Planner), I helped to organize, promote and moderate the event. Question and Answer portion helped to provide insight to students about the planning practice from a variety of perspectives. The School's Director of the Master of Advance Study in Geographic Information Systems (MAS GIS) required assistance in designing the program's presence at the GIS convention. With some basic direction, I ran with this project to completion. The results were a floor display that will represent the school and program for years to come. In what was one of my first graduate level courses, I dove into Advanced Modeling. After extensive research into many details of two local shopping complexes, I was able to assess them head to head. 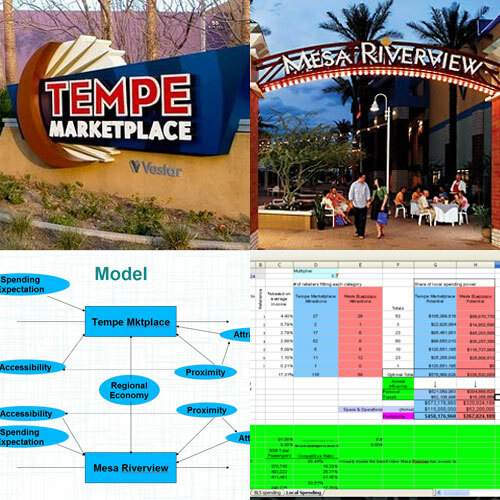 Tempe Marketplace and Mesa Riverview were my sites. I took into account the spending power of the consumers in the area, defined a capture rate of those expenditures that was sensitive to the resistance of travel time, took into account accessibility broadly defined, rental costs for businesses, estimated the cost benefit analysis of each site, etc. From this study, I presented an advanced model that simulates the economic competition of these malls in a side-by-side comparison. 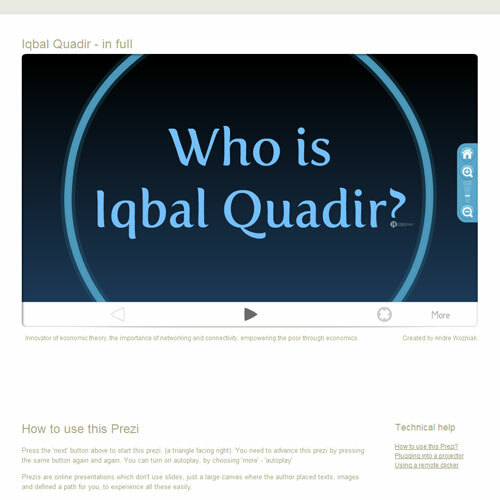 Iqbal Qadir is an inspiring figure who has leveraged the power of microloans. With Grameenbank's founder, he co-founded Grameenphone. In the developing world, he was able to develop a business plan that benefits entire villages by making mobile phone technology affordable and expandable. Using OpenGeoda (free spatial analysis software), I was able to use income data from the census and perform a cluster analysis. This helps to identify the spatial outliers and test for spatial relationships with easily interpretable maps. 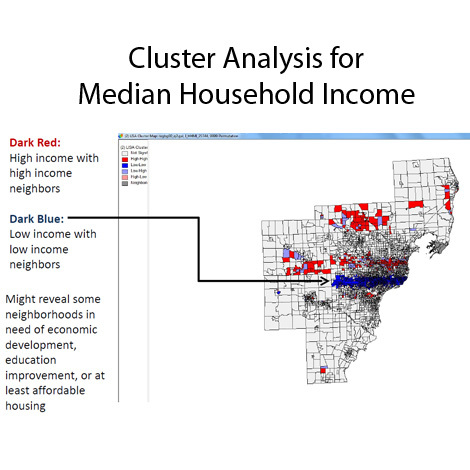 This image shows spatial trends for south east Michigan's incomes clustered. This analysis might spike interest in evaluating policies that could be adversely effecting a certain geography. 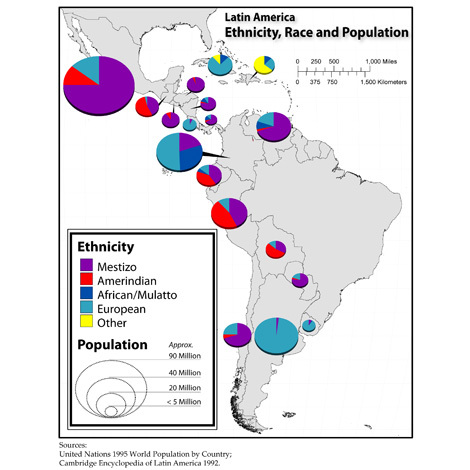 This map was created for a professor at ASU using ESRI ArcMap 10 and data concerning population, ethnicity, and race of Latin America. After collecting and organizing the data and orienting the shapefile, the pie charts were easily defined. However, the display of the pie charts was refined in Adobe Illustrator. 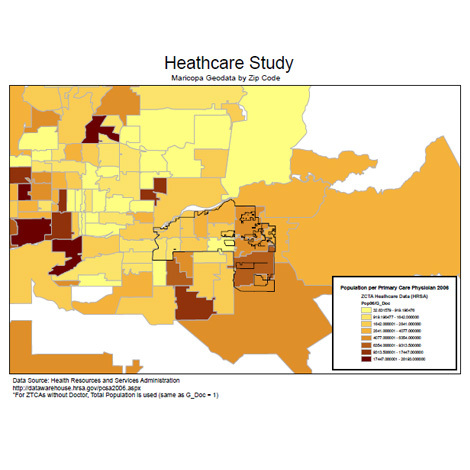 Interested in the conditions of Healthcare industry largely in Mesa, Arizona, this map was created to illustrate the population to physician ratios by zip code in the region. The map was created in ArcMap 9.3.1 and the data is from the Health Resources and Services Administration. The map was created for the City of Mesa's Economic Development Department as one in a series of maps exploring many ratios of population to types of physicians and physicians near retirement age. As part of undergraduate course work, I was assigned to reproduce an architectural model of a famous Le Corbusier building that is commonly known as the Heidi Weber Pavilion completed in 1967. The famous architect and urban visionary Le Corbusier died during the construction of the building, and today is stands as a museum devoted to his designs and his work. Project utilized AutoCAD, Sketchup, Rendering software, InDesign and advanced techniques in Photoshop. Link: Project in PDF form.